Bangalore/Mumbai/New Delhi, India (November 17, 2017) – The Lexus NX 300h is set to grace Indian roads, bringing with it unique personality, striking detail and exhilarating performance. The arrival of this latest hybrid electric vehicle offering strengthens Lexus’s product range in India, further building on its rapid growth in the country following the brand’s entry into the market in March 2017. Lexus India’s latest offering is set to excite and entice a new category of guests who appreciate the pleasures of driving in the exquisite yet edgy stylings of an SUV whose form and performance defy convention. The Lexus NX 300h will be available in India in two variants – the F Sport and Luxury models, catering to the lifestyle needs of young influential achievers who appreciate the edgy, aggressive and the bold. The latest hybrid offering also reinforces the brand’s commitment to environmentally conscious driving options within a vehicle that delivers agility and nimble maneuverability. “The Lexus NX 300h brings to life the qualities which set us apart and delivers a lifestyle that is uniquely Lexus. This premium urban sports gear delivers exceptional design and comfort and is a fashionable car that suits urban style and use,” said Akitoshi Takemura, President, Lexus India.“The strikingly bold design of the NX 300h is coupled with the performance of a hybrid electric vehicle that makes this a cool SUV.”, he added. From the sharp contours of its exterior styling to the panoramic roof, the NX 300h delivers beyond convention. The Lexus NX 300h’s LED triple-projector-beam headlamps and dramatically styled front and rear fascias make a statement on the road. Inspired by the facets of a cut gemstone, new LED tail lamps are just one of the many details that set NX apart. The Lexus NX 300h is more than just a beautiful vehicle; it delivers for the driver with its all-wheel drive and a new adaptive suspension that unleashes thrilling performance - a 2.5 litre, 4-cylinder in-line engine, which produces 145 KW max power, delivering an ARAI certified mileage of 18.32 kmpl. The BS6 compliant NX 300h is paired with Lexus-first innovations and features that elevate comfort and convenience to new heights. These include Lexus’ first kick-sensor-activated power rear door, first-in-class power-folding and power-reclining rear seats take amenities to a whole new level. The incredible hi-fi Mark Levinson system with ClariFi technology features 14 speakers that are tuned to provide a robust entertainment experience.. The new Lexus NX features a 360° panoramic surround view monitor, which uses four high-definition cameras to simulate a top-down view of the vehicle. This view spins to show surrounding vehicles, pedestrians, and obstacles, and includes position projections to demonstrate the vehicle's path at slow speed. A more expansive 10.3-inch split-screen multimedia display provides simultaneous access to audio and climate controls and various systems, including the next-generation navigation system that is coupled with a full color heads up display. 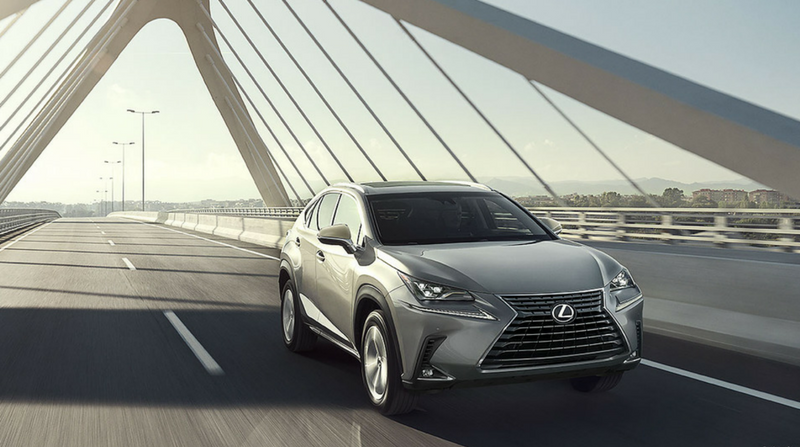 Safety features include 8 airbags, ABS + vehicle stability control and an anti-theft system making the Lexus NX 300h a secure ride amid all its sophistication. “The luxurious new Lexus NX 300h is all about what an automobile could be –breathtakingly striking from every angle and unique in its personality. This is a vehicle crafted for the urban sophisticate who is arriving – in signature style,” said Akitoshi Takemura. The prices and the other retail details of the NX 300h will be announced by January 2018.